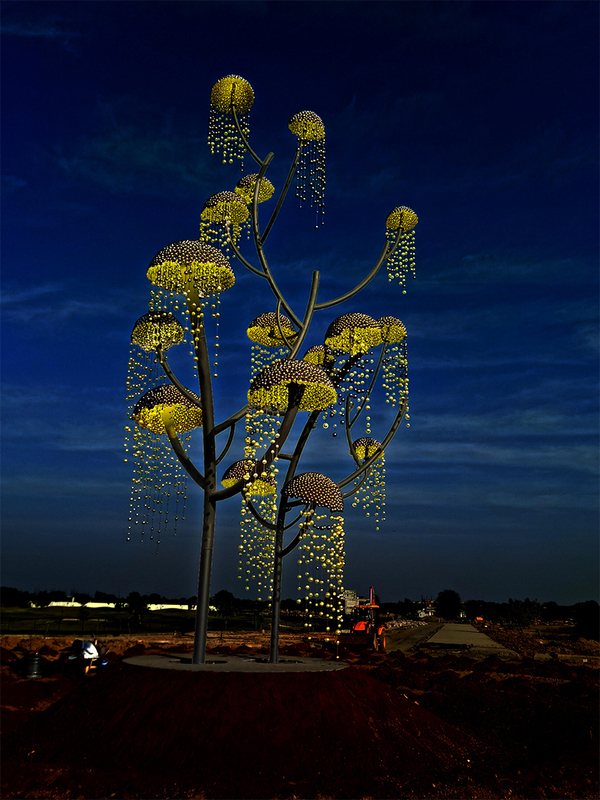 the international award-winning india-based artist vibhor sogani’s new installation is an abstraction of a tree, blending into the serene, flowing greens around it. 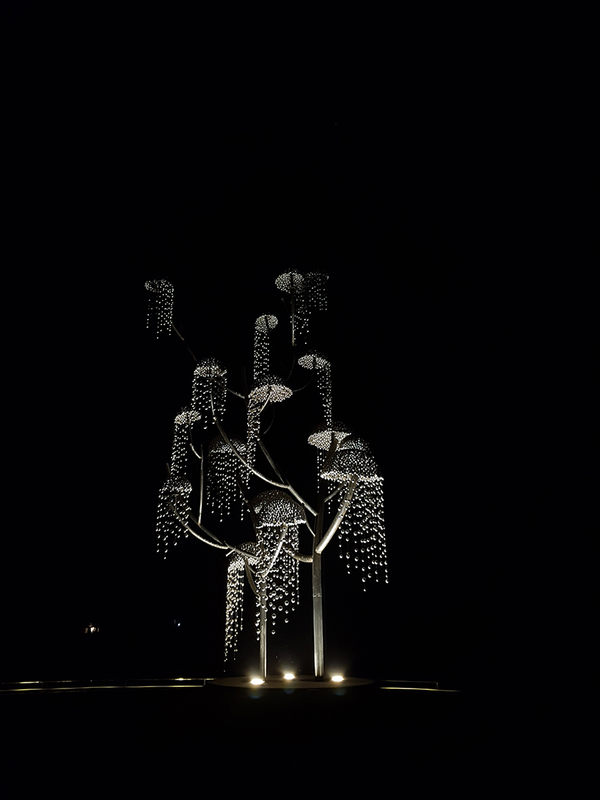 inspired by the surrounding landscape, the tree is 35 feet tall and is crafted from mirror-finished steel balls. 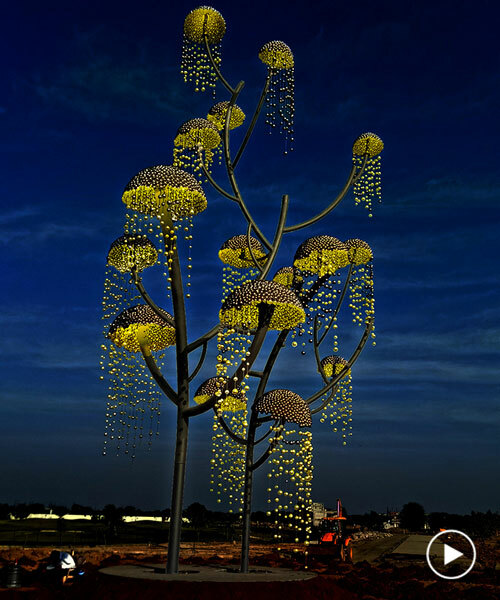 it highlights an upcoming residential development in gujarat, india and hopes to manifest the 100 feet roundabout — where it is situated — as a point of visual focus for the community. 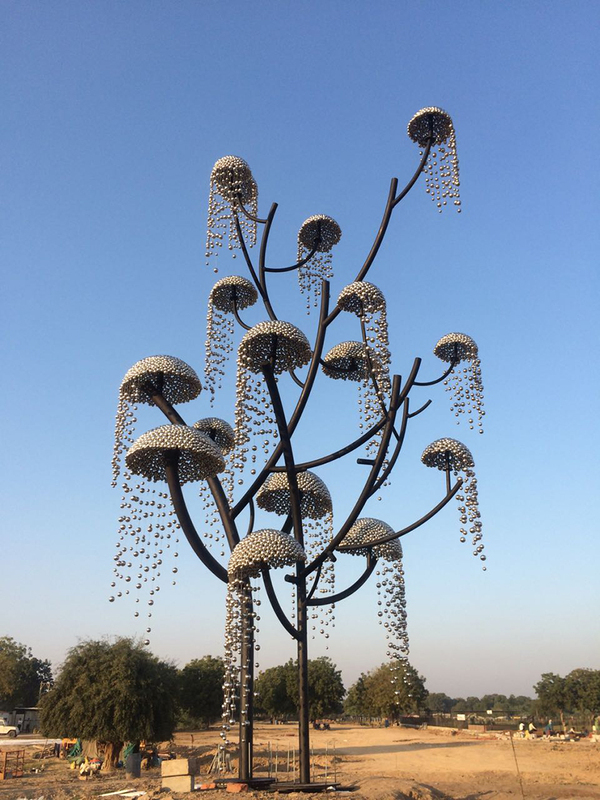 sogani‘s ‘kalpavriksha’ — the name comes from hindu mythology and stands for a wish-fulfilling tree — is perhaps gujarat’s largest public installation and india’s second largest. 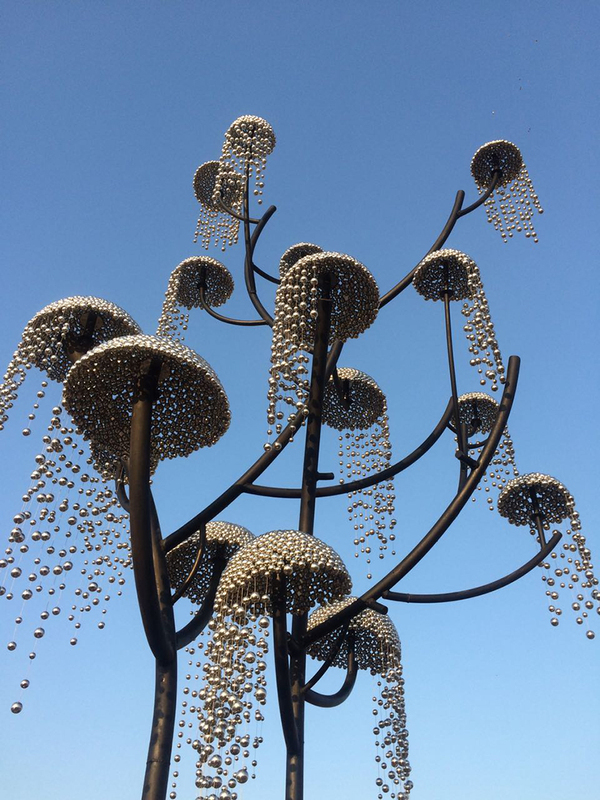 embracing the nature of life and constancy of change, it also transforms itself with the changes in the environment: on a bright, sunny day, kalpavriksha sparkles, and appears soft and diffused when the sky is overcast.